Make your dinner table really stand out at this year's Christmas party! 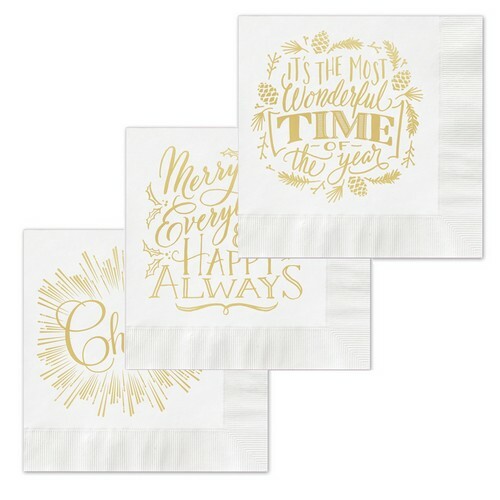 JAM Holiday Napkins are sure to grab the attention of your holiday guests with their gold foil phrases. You can serve all kinds of festive snacks on these awesome napkins! These Holiday Napkins measure 4.75" x 4.75". With six different phrases to choose from, we know there's at least one just right for you! They're sure to spice up your napkin holder this season! Holiday Napkins are sold in packs of 20 with a minimum of 3 packs per order.